Early this month, my company had a weekend trip to Melaka after work. We just drive down for the sake of one reason. FOOD! In the day time, I had a tailor made itinerary (CLICK HERE). 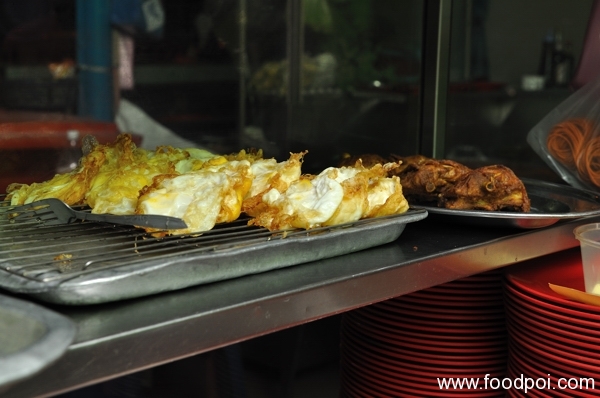 As for night time, I am cracking my head what is nice beside visiting Jonker Street for street foods. 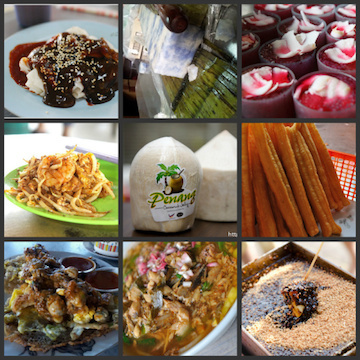 Thanks to my good friend Jason from jasonmumbles.com who introduce to me all the great foods around Melaka City. 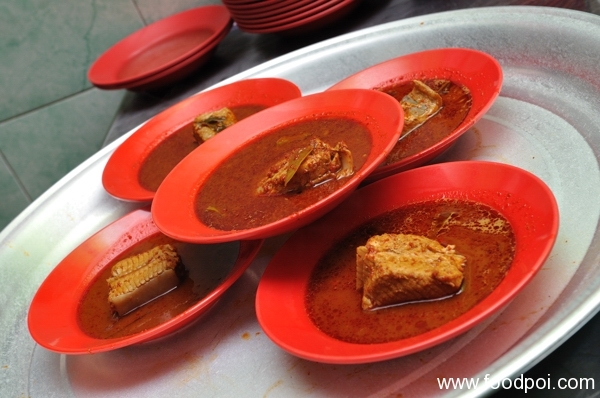 The night were kick off with a plate of Malay Asam Pedas which located within the vicinity of the UNESCO Heritage circle. To be precise it is 100 Meter away from Donald and Lily’s Restaurant. 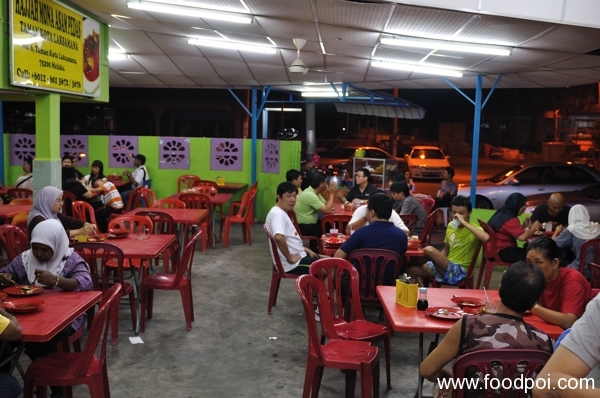 This restaurant operate from 5pm to 5am daily. The restaurant is actually a house convert to restaurant and is pretty easy to spot. From infront of Donald and Lily’s restaurant just go further in towards the new hotel which currently building in progress. All the big wok cooking the asam pedas. 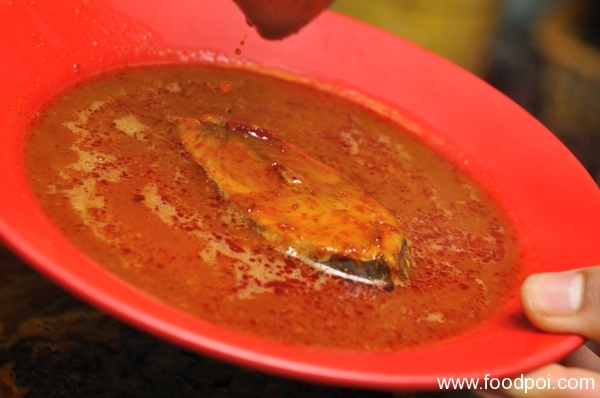 Asam pedas is more diluted compared to normal curry. 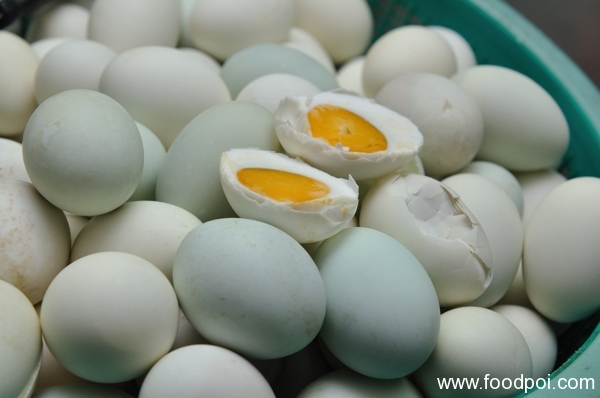 It also carries a more sour and spicy taste which lead to it being called asam pedas which means tamarind spicy from direct translation. 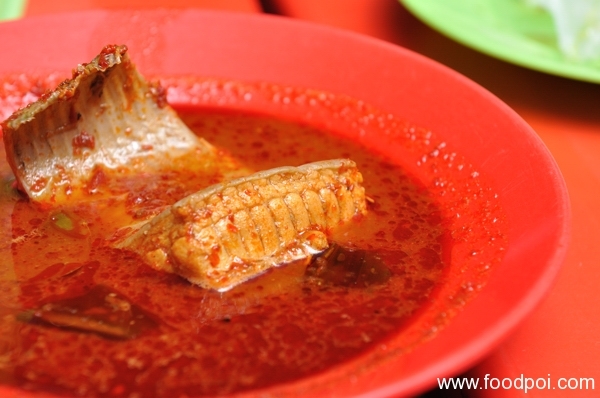 Asam pedas usually cook with fishes rather than meats. 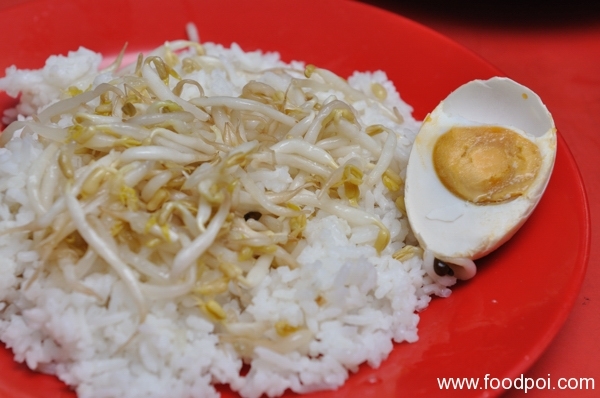 A standard plate of white rice served with the bean sprout and 1/2 salted eggs. You can chose not to take the standard rice for a change. 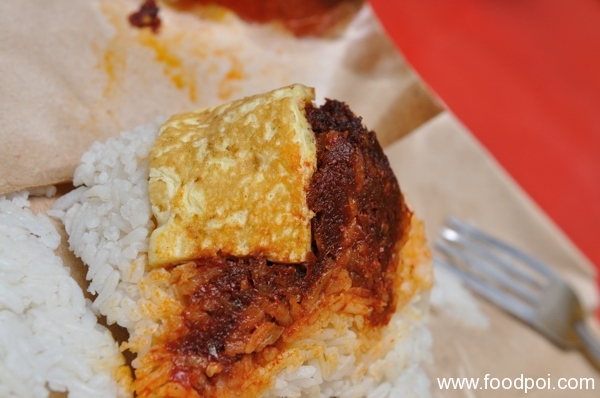 Every table also come with pre packed nasi lemak which taste pretty good. 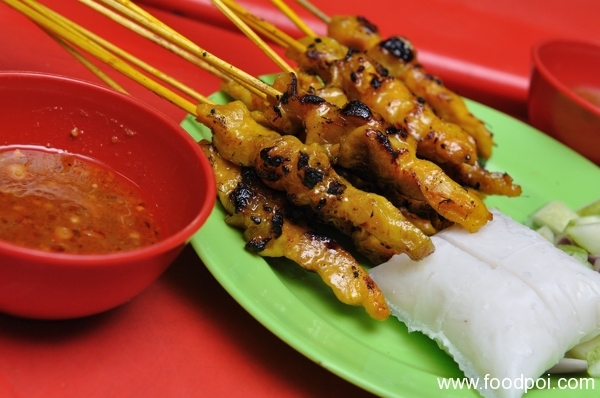 Besides rice, you should try the satay sold here. 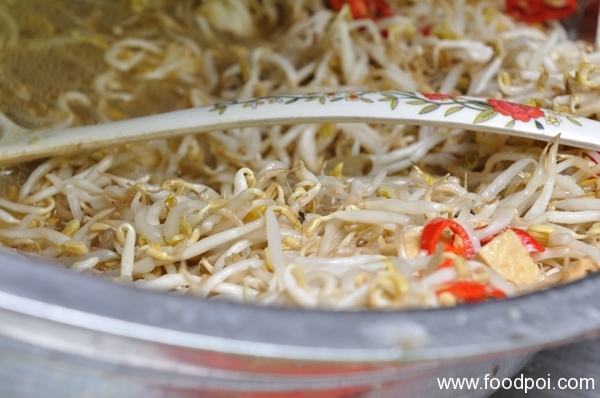 It taste really nice and goes along very well with the asam pedas. I usually go for the mackerel instead of kembung, or stingray. Maybe the fleshy and not so fishy cut suits my palate better, compared to the boney kembung or cencaru? It look so delicious. 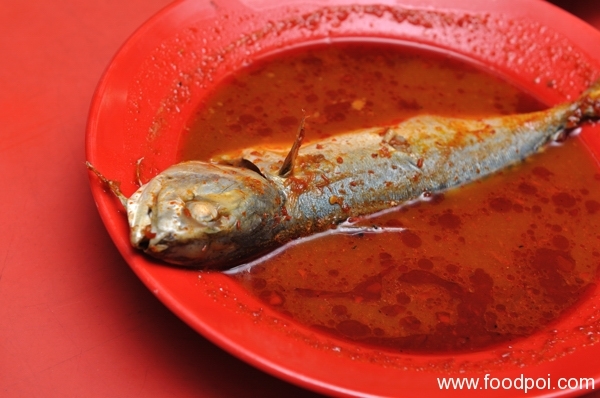 I always went at Pasar Borong for Asam Pedas. 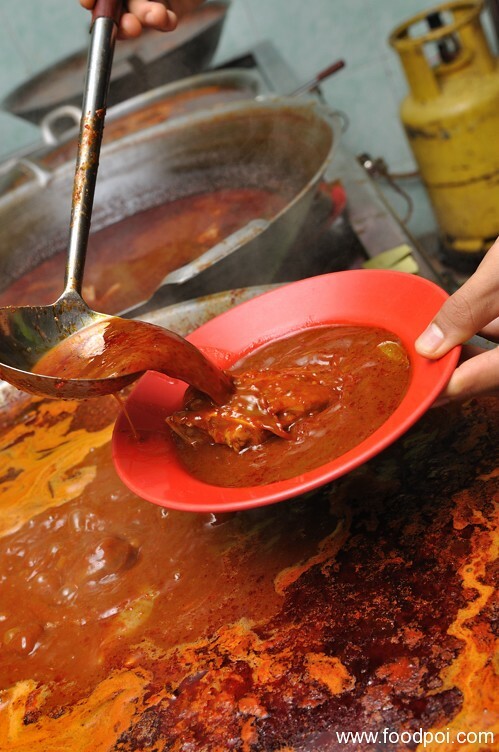 Melaka is best place for Asam Pedas that i ever taste before. 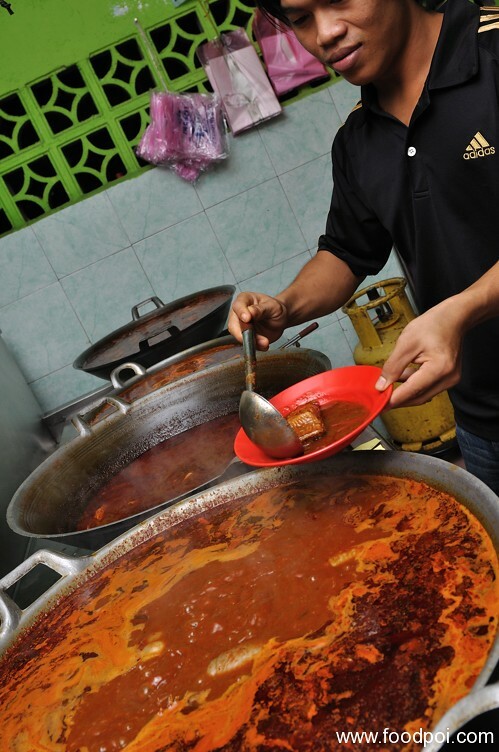 My favourite asam pedas stall! Any more nice place to recommend in Melaka? 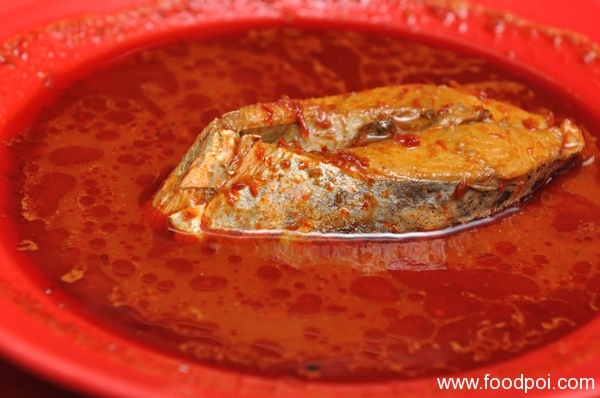 wow, drooling~~ Can tambah nasi with the asam pedas gravy! Yes! I’m eying on the Stingray! One of my favorite! want come again if i go to melaka next time..
i m from sarawak…1st time i sampai melaka..yer lah nk melawat bandaraya bersejarah..ms nk g otel teksi driver intro ler asam pedas power di melaka..sampai org vvip pun dtg makan kt situ…mlm tu tanpa buang masa naik beca g restoran tu…huhuhu..nothing special..mmg bkn selera saya langsung x sedap…sy penah makan asam pedas area jalan klang lama situ br i komen mmg best lh sangat2…restoran crew 8/10 ok ler tu…. Wuih ….. Mai bagi alamat jap …. I pergi cuba pastu boh kat website nih. 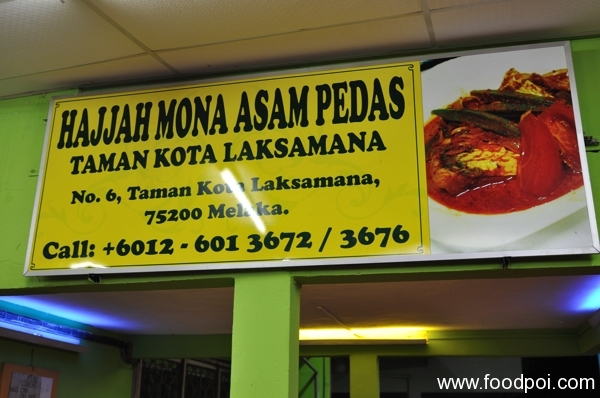 Ermmm… Contemplating to try hajah Mona or clay pot asam pedas.. Or maybe try both ? I m hungry already.